It’s important to start your day off right, and the very first task of the day should always be filling up with a quality breakfast. Fortunately for those in North Dakota, we’ve got a plethora of places to sit down for a hearty meal in the morning. From cozy cafés, to relaxed restaurants that make you feel like you’re eating right at home, here are the 10 best breakfast places in the state. Think you’ve already experienced a bagel? Not if you’ve never eaten at Broadway Bean & Bagel. Whether you are interested in a strong cup of joe and a traditional bagel or would like to indulge in a breakfast sandwich, you will leave never looking at a bagel the same again. The restaurant also serves handmade specialty sandwiches on traditional bread and a variety of soups. If you are looking for a mom and pop type of restaurant, The Little Cottage Café is for you. A Bismarck staple for over six decades, the diner’s homemade breakfast plates are the stuff of legends. If you want to spoil your taste buds forever, try the caramel rolls. Lonnie’s is another no-frills restaurant with a top-of-the-line menu. 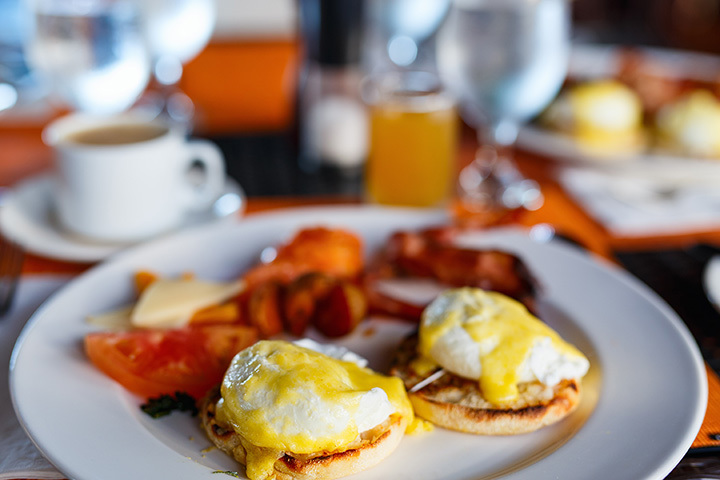 From loaded omelets to traditional ham and eggs, the breakfast dishes are more than enough to fill your tummy while the prices will leave your pocketbook intact. Often considered home to the best food in Grand Forks, Darcy’s is a must stop for breakfast, lunch, and dinner, although breakfast is where the restaurant really excels. Try guest favorites like biscuits & gravy or chicken fried steak, but you better come hungry. For a superb homemade breakfast in an unassuming atmosphere, stop by The Shack. A small restaurant nestled in north Fargo, don’t let the size fool you. The staff within The Shack work together like a well-oiled machine. Nobody waits for long, but the food is indeed worth the wait. Husband and wife team Curt and Jan Ness have developed a menu that includes traditional offerings like pancakes and omelets as well as one-of-a-kind dishes like biscuits and homemade gravy, CJ’s egg bake, and homemade granola. Few things taste better than breakfast made with a side of TLC. A new concept restaurant, Avery’s opens as midnight and stays open all morning. A perfect breakfast destination for late owls, students cramming for the big exam, those working away on the night shift, or just those passing through on that long road trip. Check the website for daily specials and unique pancake flavors. A Grand Forks staple for many years, the Big Sioux Café is a typical greasy-spoon that is anything but. A favorite destination after the bars close or for anyone forced to crawl out of bed in the early morning hours, Big Sioux has the strong coffee and loaded omelet you are looking for. For those on the western side of the state, a visit to the Little Missouri Grille will leave you wondering why you hadn’t heard of it before. With a traditional menu that is given an extra dose of care, the Little Missouri is everything that is right about breakfast. Despite its name, the Cajun Café is Fargo’s hidden gem when it comes to breakfast. Locals have been raving about the sweet potato pancakes and biscuits and gravy for years. The secret’s out now.